We are "The Flexible People." 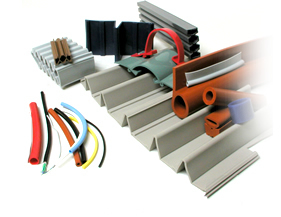 As a leading, full-service rubber extrusions manufacturer, plastic extrusions manufacturer, and silicone extrusions manufacturer, Northwest Rubber Extruders supplies custom-extruded elastomeric products for a variety of applications. We use advanced technology and top quality materials to create rubber extrusions, plastic extrusions, and silicone extrusions in custom profiles to meet our customers’ design specifications. Request a quote or contact us to discuss your custom extrusion project. With our precision extrusion capabilities, Northwest Rubber Extruders can deliver high quality flexible extrusions that match your exact requirements. Utilizing proven methods alongside new and innovative processes, we provide short run, quick-turn manufacturing, as well as full production runs for tens of thousands of pieces or more. 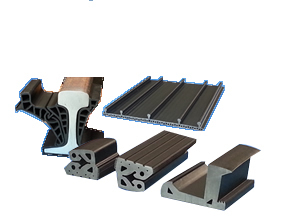 We have the capabilities to extrude products up to 20” wide from a large selection of materials. Northwest Rubber Extruders has been supplying elastomeric products and supplies to the railroad industry for more than 20 years. We provide railroad products for both new construction and maintenance of freight, passenger, light rail, and streetcar lines. Manufactured from durable elastomeric and thermoplastic materials, these products are designed for demanding railroad applications. In addition to our custom extruding and molding capabilities we offer numerous value added secondary services. 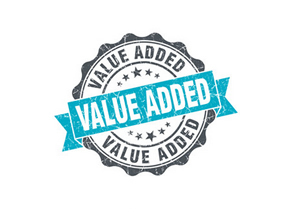 With our value-add operations, you receive ready-to-use parts (or as close to ready-to-use as possible) faster and more cost-effectively. And, with fewer vendors to work with, our secondary services reduce the headaches involved in your overall project. Northwest Rubber Extruders, Inc. is in the business of supplying custom manufactured elastomeric products for all applications. Our mission is to exceed our customers' expectations providing high quality, cost-effective parts, with unsurpassed customer service. 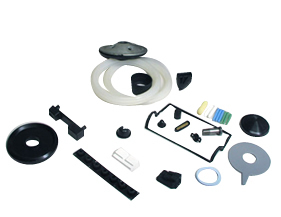 We are one of the industry’s leading plastic, silicone, and rubber extrusions manufacturers. Request a quote on custom molded products for your application, or contact us to find out what we can do for you.